If you’ve decided to ask a mini member of your inner circle to stand beside you on your wedding day, congratulations! You’ve got yourself a junior bridesmaid — aka JB. She’s someone who’s too old to be a flower girl and too young to be an official bridesmaid — perhaps she’s somewhere between the ages of 8 and 14 — but you still want her to feel included when you walk down the aisle. Though she probably won’t have the same duties as her older counterparts, she can still provide plenty of support (and cuteness) while you’re addressing stressful wedding tasks. 1. Her Age: Let Her Dress Be More Youthful — There’s nothing cuter than a little one dressed up in a grown-up gown but remember that you want her to look and feel her age too. Your best bet is to opt for junior bridesmaid dresses that are specifically made for the juniors. These gowns are designed for girls and tweens, so they won’t cause unnecessary fit issues or feel inappropriate for her age. 2. The Cost: Her Parents Will Probably Pay — More than likely, your JB won’t be shelling out the dough for the gown, so you have to consider who will be. 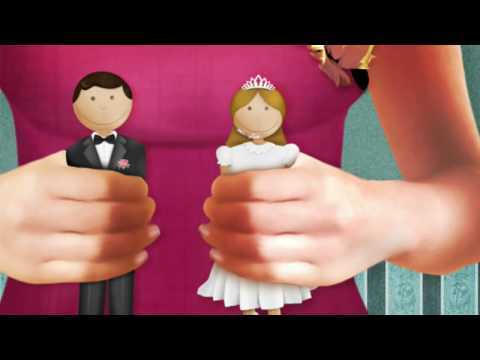 If her parents are also a part of the wedding or have other tasks and costs associated with your special day, try to keep your dress selection relatively reasonable. Be sure to communicate with her parents throughout the dress-selection process. 3. The Length: Consider Her Shoes — Unlike your older bridesmaids, your JB probably won’t be wearing super high heels. Thus, you want to make sure that her gown is the ideal length to go with bridesmaid flats or low-height heels. This is another reason it typically makes much more sense to pick a junior-specific bridesmaid gown rather than a regular dress sized down. The length of your JB’s dress will probably matter much more than that of your adult bridesmaids. 4. 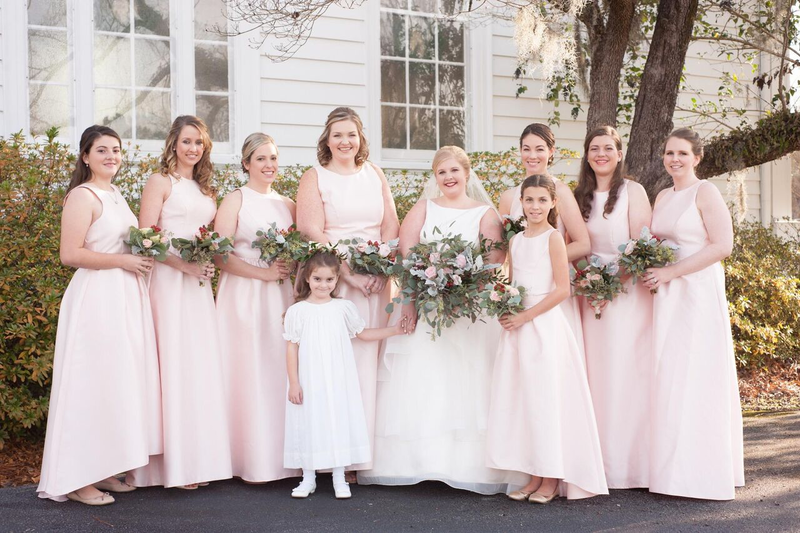 Her Comfort Level: Make It ‘Her’ — If you want to ensure that your youngest bridal party member feels completely comfortable while she saunters down the aisle, ensure that she’s wearing a gown that speaks to her personal sense of style. Like grown-up bridesmaid dresses, junior bridesmaid dresses should play to the wearer’s personality as well as the bride’s. To make sure it’s a perfect match, provide a few dress options and let your JB pick. 5. The Coordination: Does it Have to Match? — Do you want your junior bridesmaid to perfectly match the rest of the crew or do you want hers to be slightly different? It’s all up to you but know that you can be creative with the process. 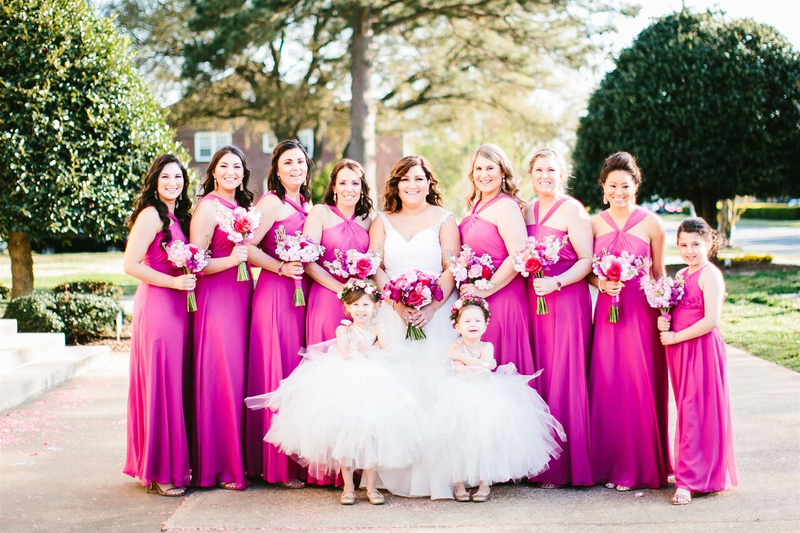 Consider dressing your junior in a patterned dress to coordinate with your bridesmaids’ solid colors or put her in a similar gown with a slightly different cut or color. 6. Her Accessories: Tying it All Together — Just because she’s younger doesn’t mean she shouldn’t get the royal treatment with the rest of your girls! Make sure to surprise her with coordinating accessories to go with her gown and invite her to join in on the fun with all the girls when you’re getting ready together. You can make sure she feels totally included with her very own matching bridesmaid robe. Remember, your junior bridesmaid wants to be like one of the big bridesmaids, but she’s still a kid. As long as you keep that in mind while you’re selecting her dress, she’ll feel right at home when walking down the aisle and standing next to your besties at the altar. 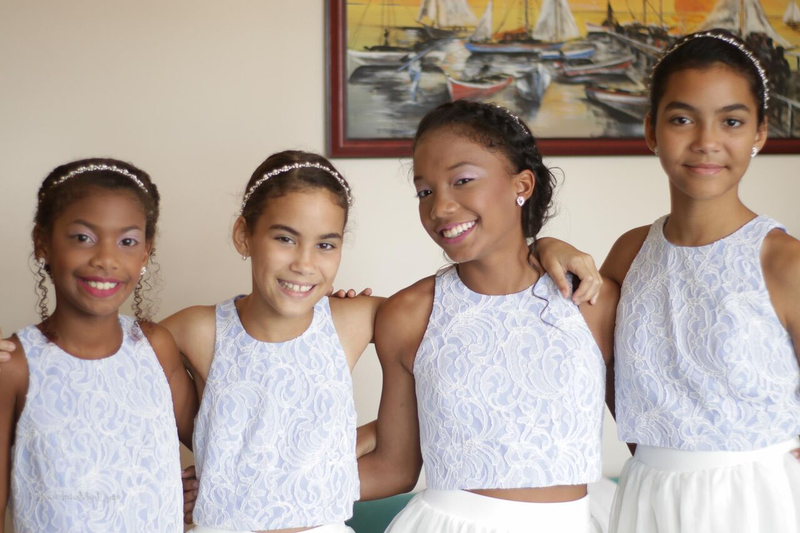 Dessy is here to help you find the prettiest, most age-appropriate junior bridesmaid dresses around. Explore our complete collection for trendy and adorable looks that will make your special miniature feel like a crucial part of your big day.